“Missing treasure. Murder. One ruthless criminal. And one Bow Street Runner determined to stop him. Written specifically as a short novella-style prequel to Ms Boyce’s most excellent first Bloodie Bones novel about Dan Foster (and indeed, a planned series) I absolutely thoroughly enjoyed this superb tale. 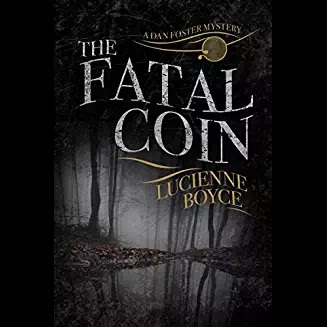 Lucienne Boyce has a talented gift as a writer, producing stories that hook you straight in and refuse to let you go until you’ve turned the last page, and even then, leave you pondering on the plot and characters – and eager for a next adventure! She creates believable characters, detailed settings and engrossing plots none of which outshine the other, or read like a history lesson. On the other hand, I have learnt more about Georgian London, the Bow Street Runners and how dismal life for the poor could be in the late 1700s than ever before. Highwaymen have always been romanticised, the anti-establishment bad-boy heroes of their time, Fatal Coin shows them in a different light as extremely dangerous risks to innocent travellers. In addition to the main story we are treated to a sub-plot glimpse of Dan’s early life, his roots and background. The whole story, indeed the entire series, is like delving into a rich, satisfying and gloriously indulgent box of hand-made luxury chocolates. 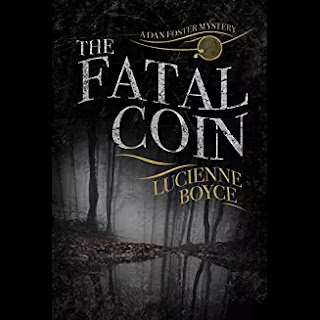 Whether Fatal Coin is your first encounter with Dan Foster, or a venture into discovering more about him, this is a most excellent read, highly enjoyable and most highly recommended. I'm about to treat myself to this. What a bargain at 99p! and it is a superb read. Lucienne is a terrific writer! it's the First Weekend in July!